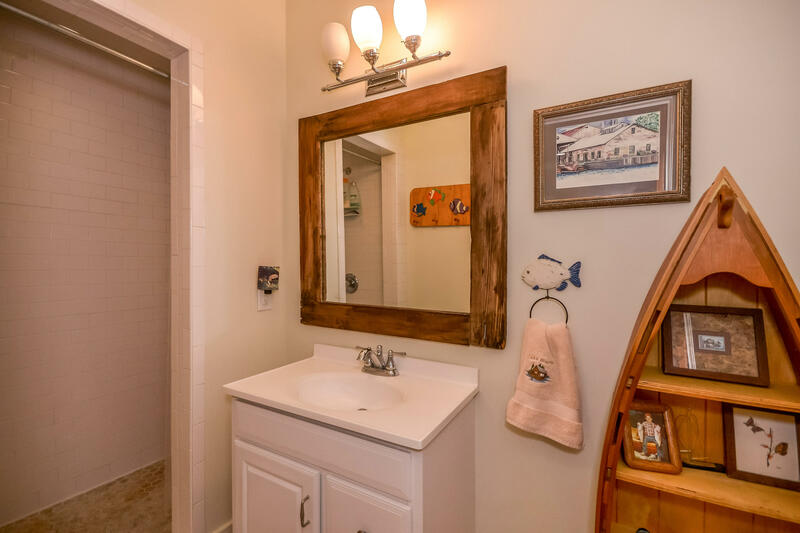 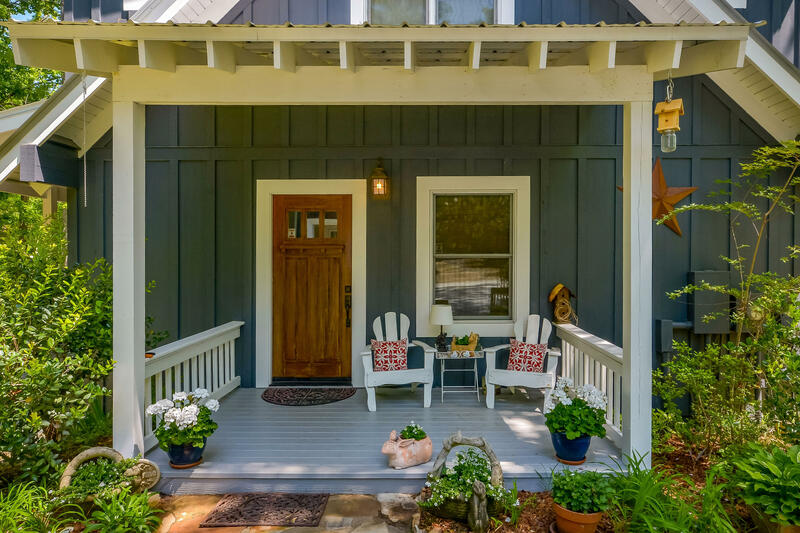 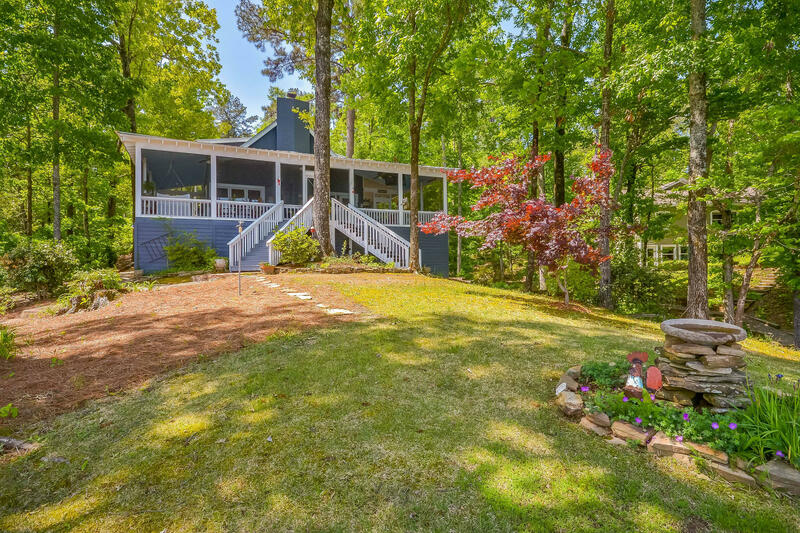 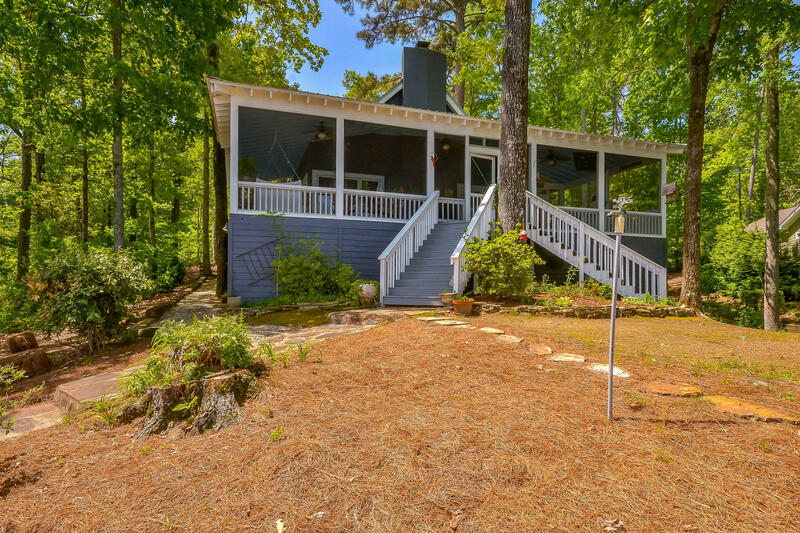 238 Avalon Rd, Dadeville, AL 36853 - Lake Martin Real Estate Properties Lake Martin Properties for Sale CENTURY 21 Lake Area Realty, Inc. 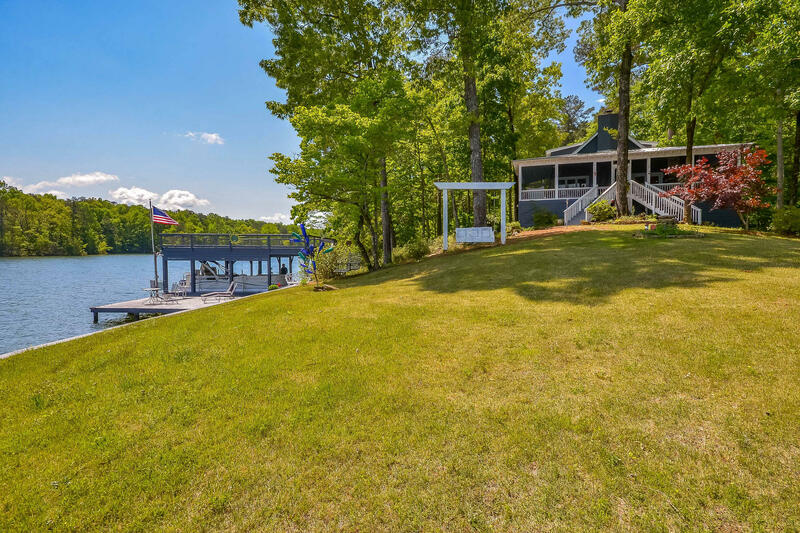 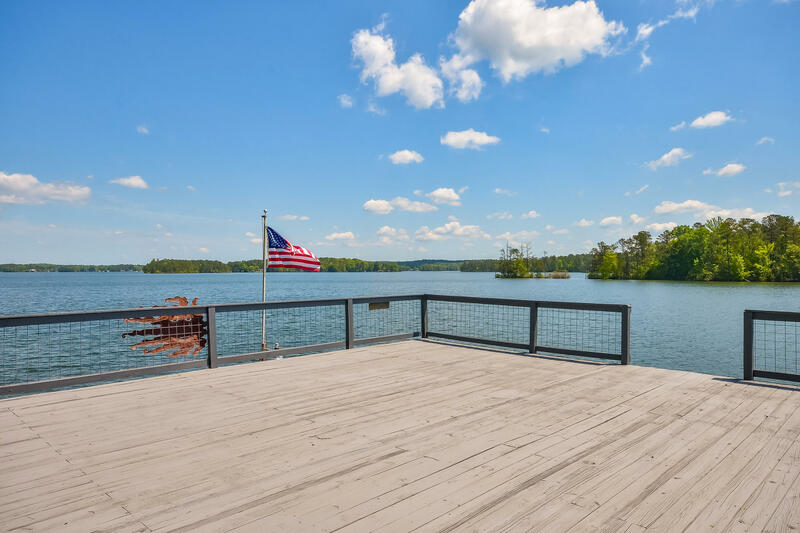 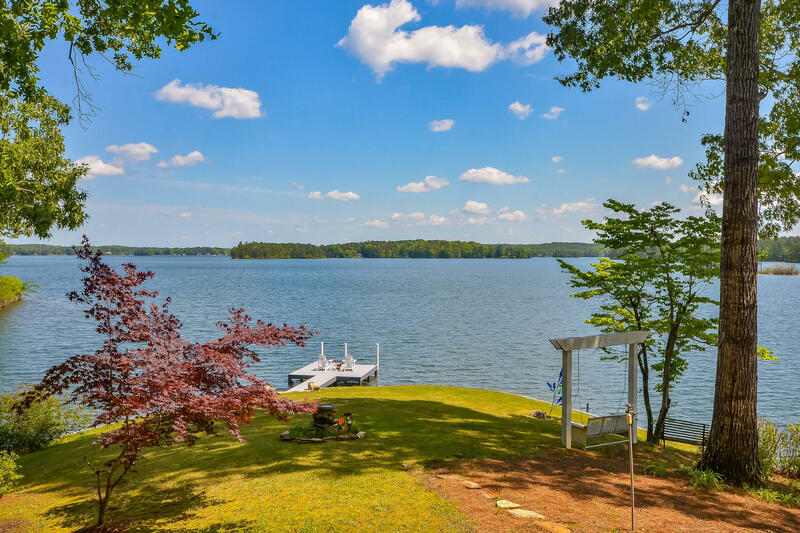 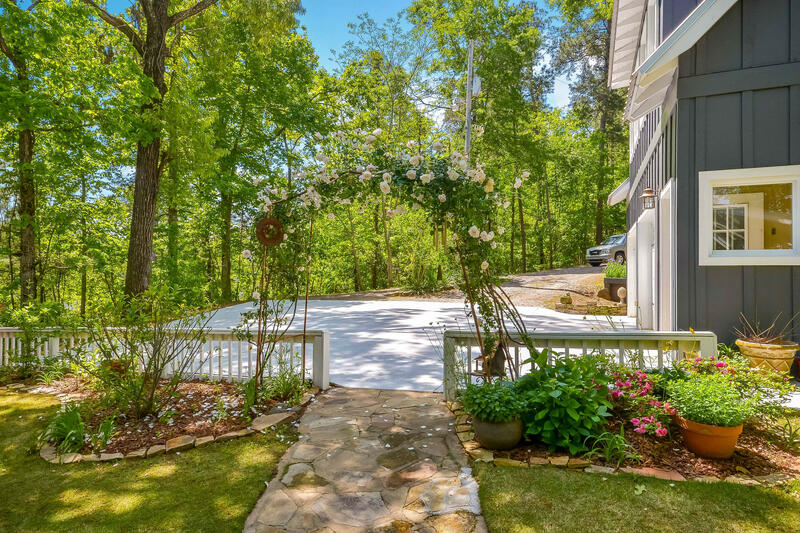 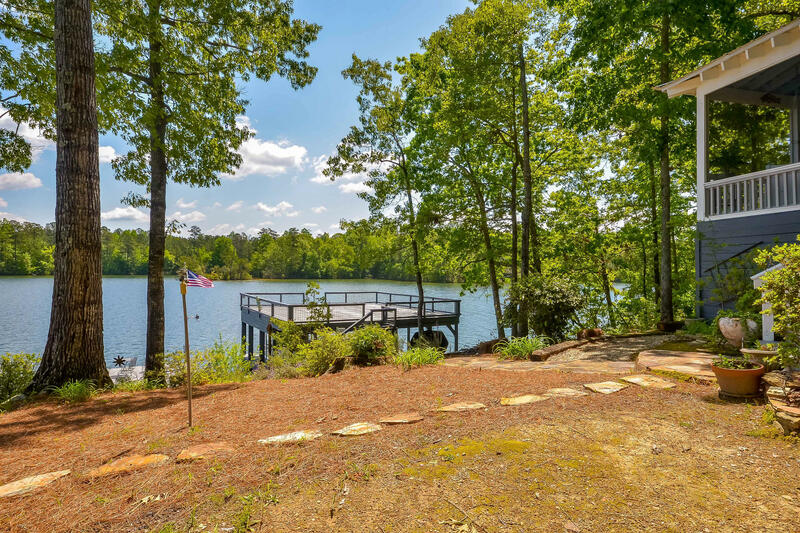 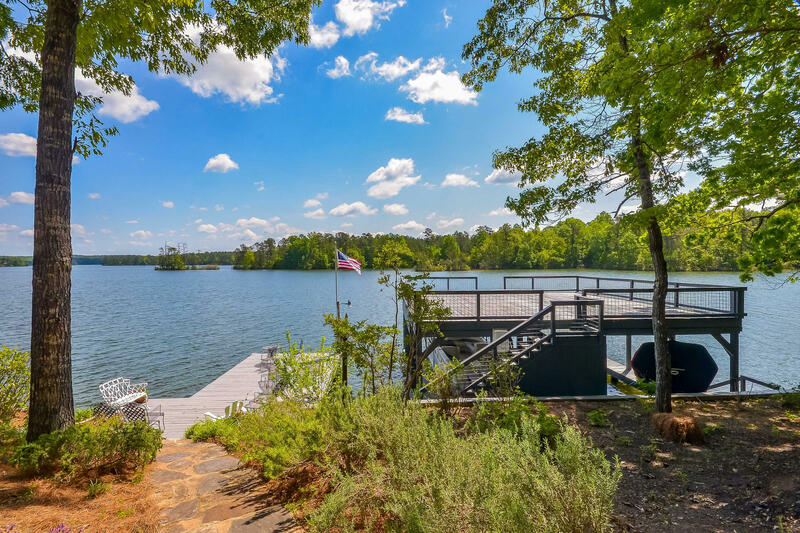 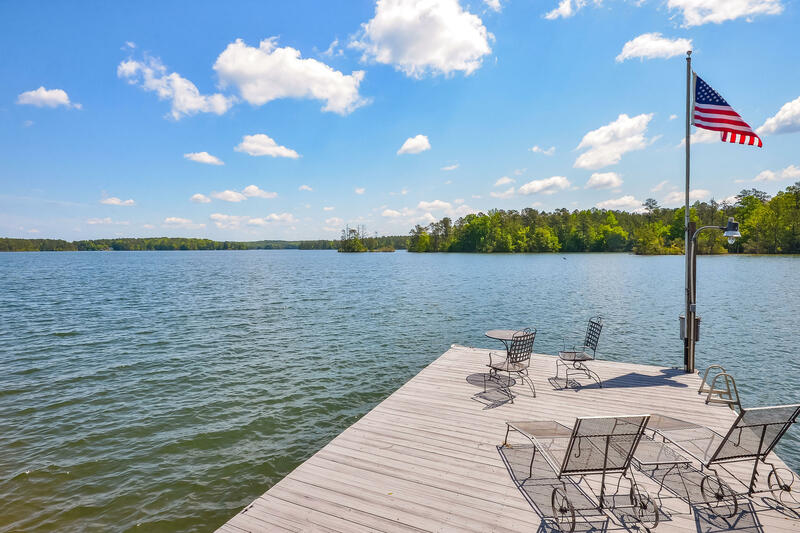 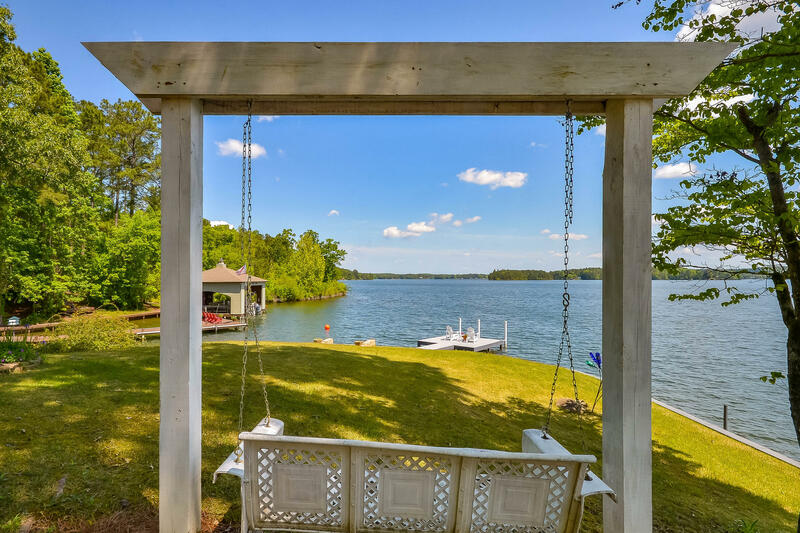 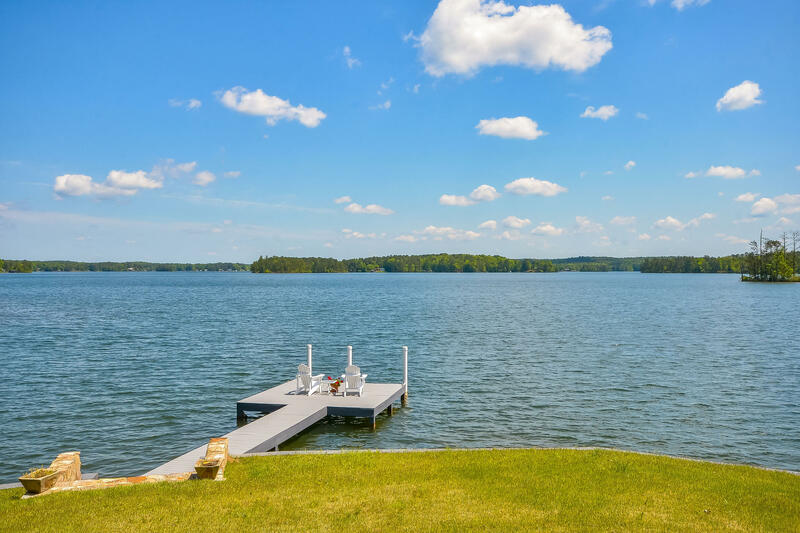 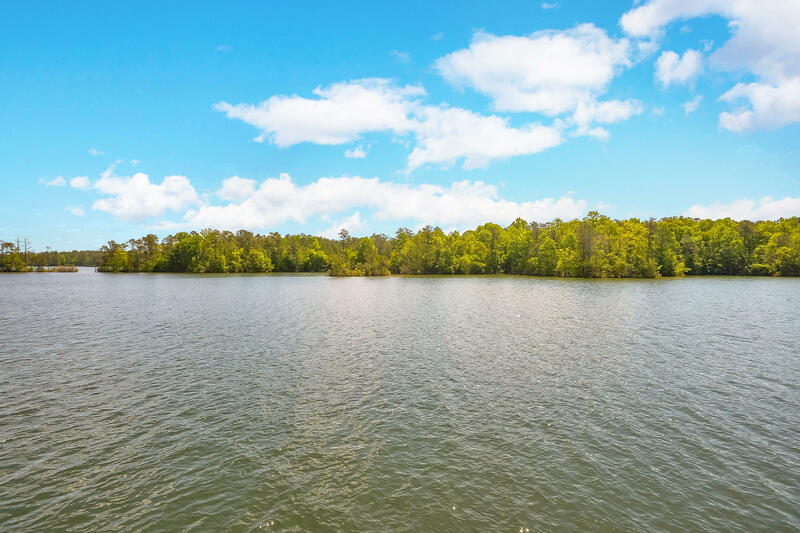 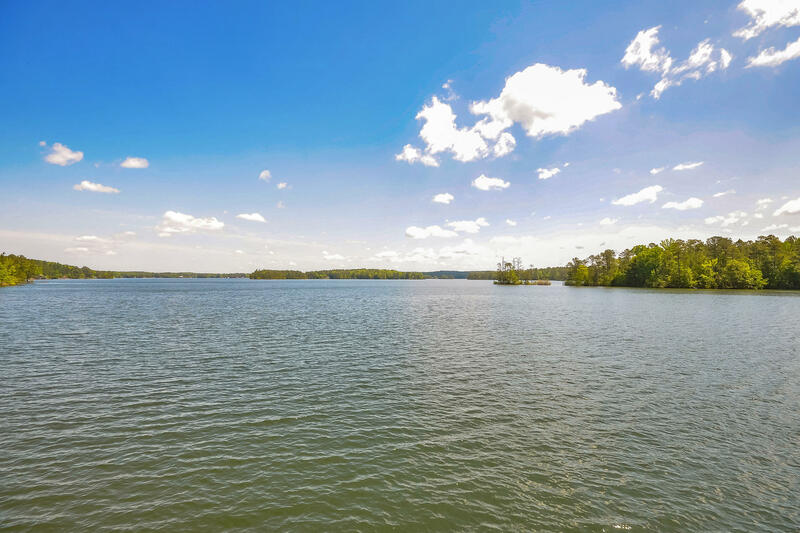 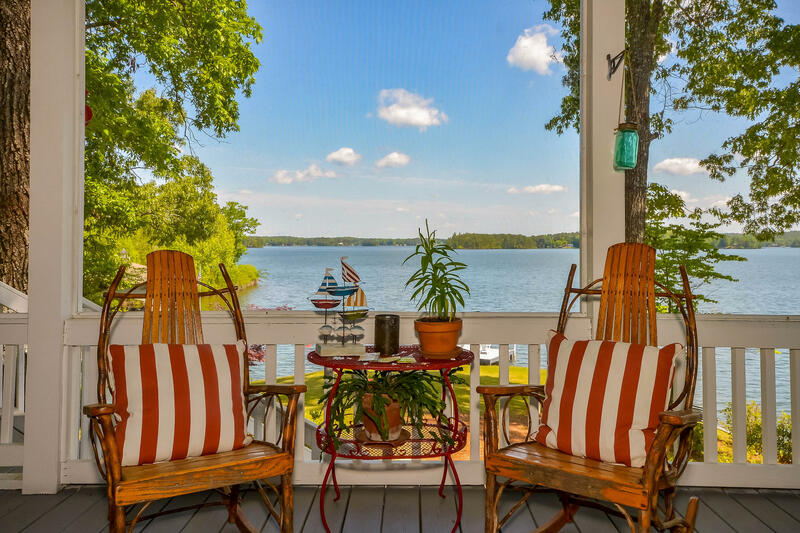 Spectacular Lake Martin sunsets will light up your evenings from this point lot featuring 250 ft+- of water frontage. 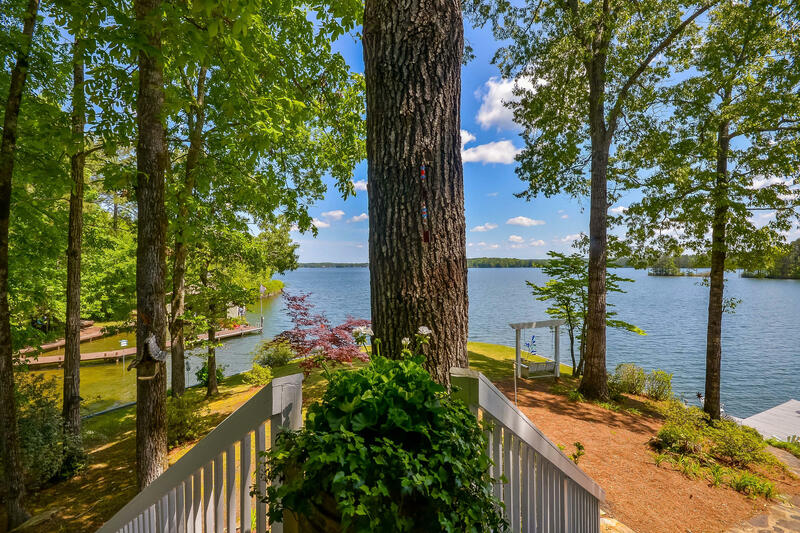 The view is absolutely amazing! 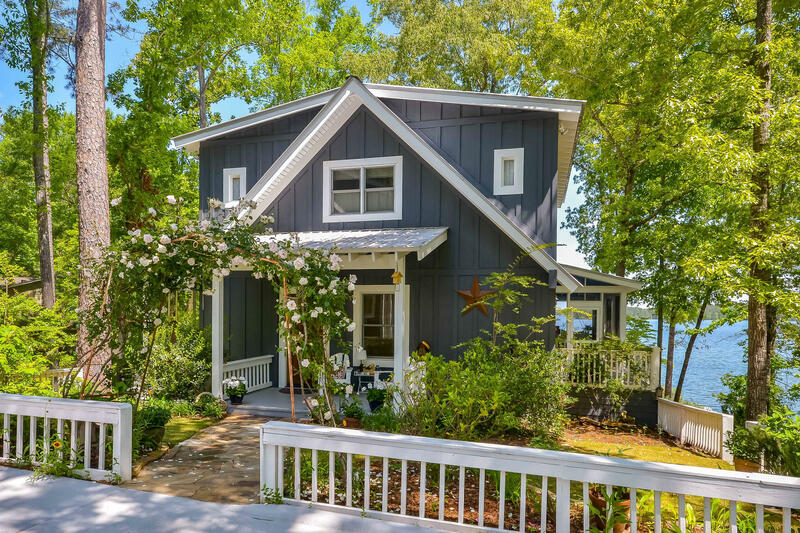 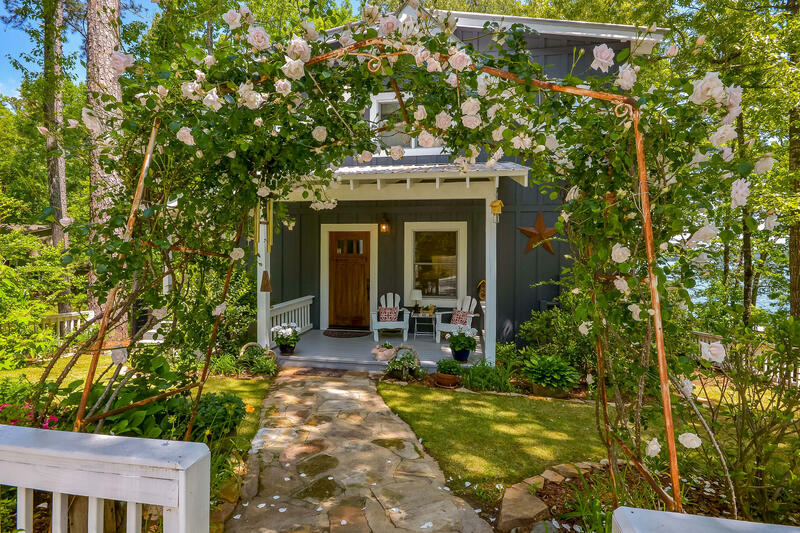 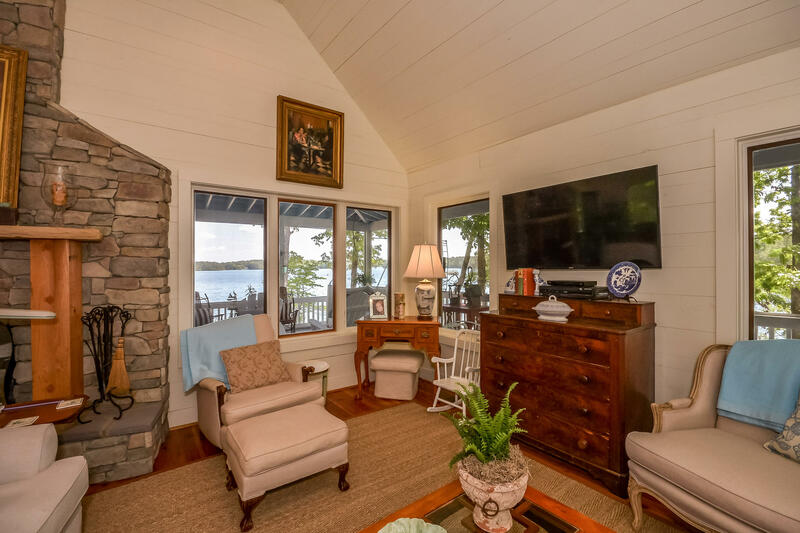 The home is perfect for entertaining, while filled with charming details and optimizing the lake views from every room. 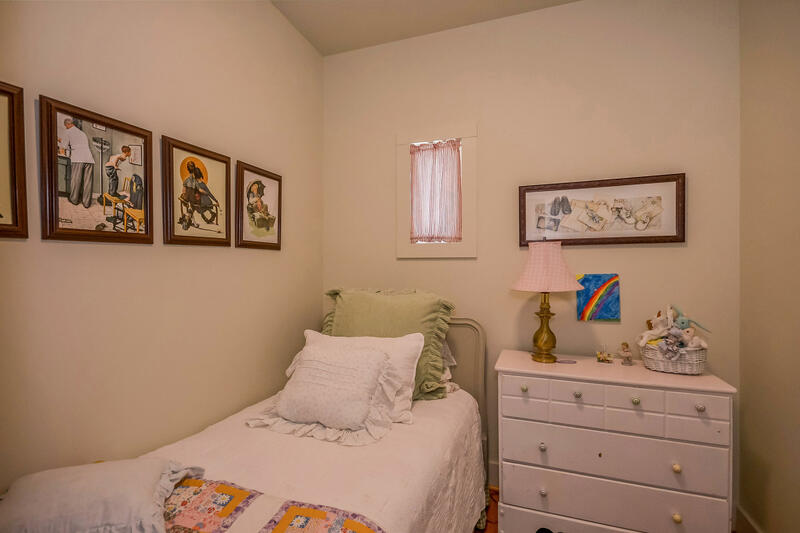 Joanna Gains would be proud. 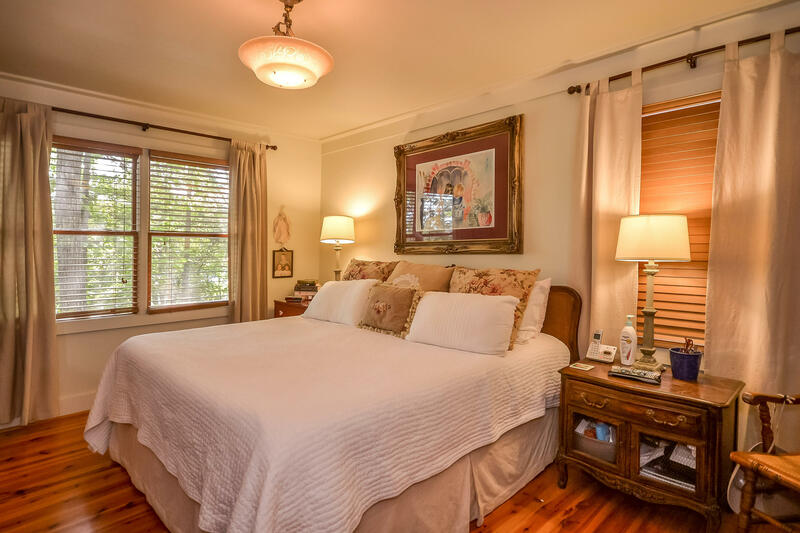 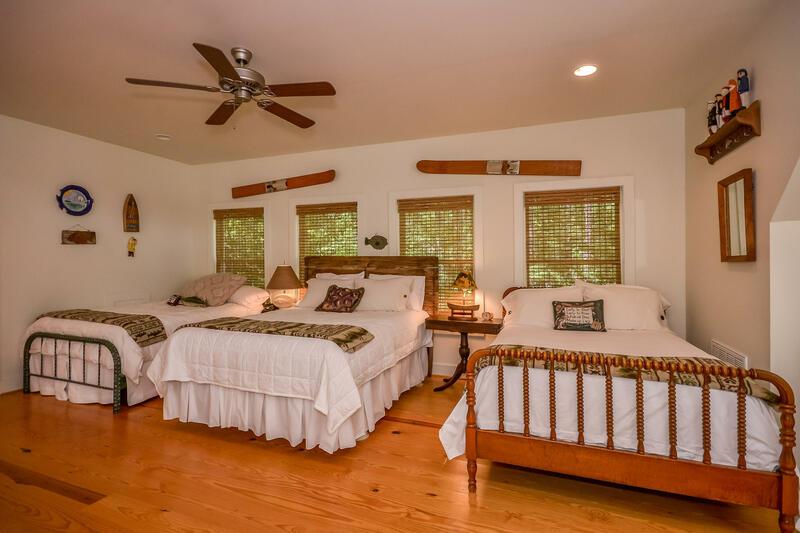 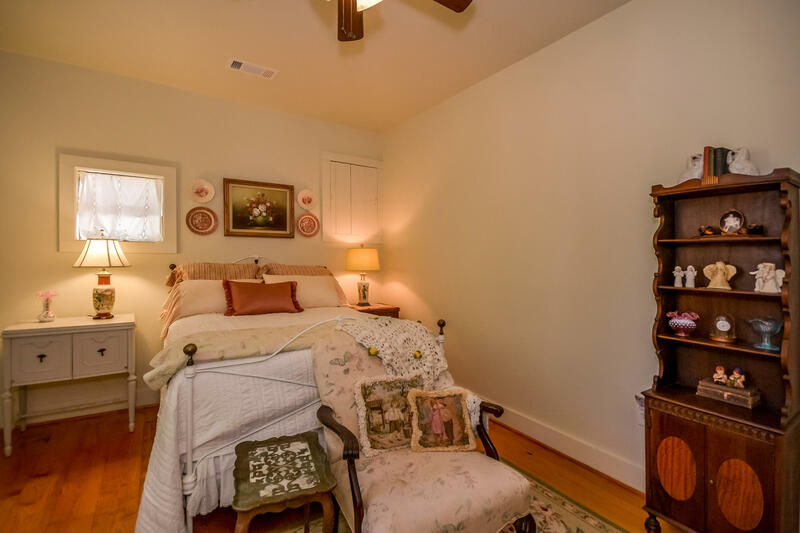 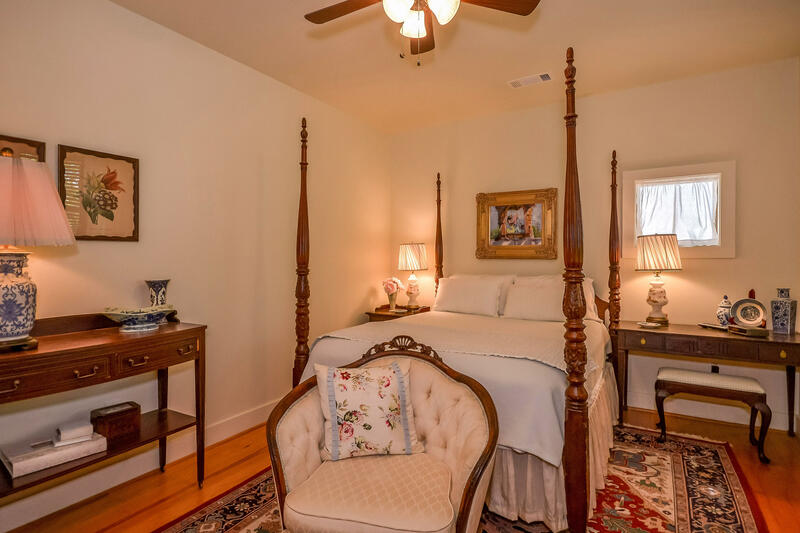 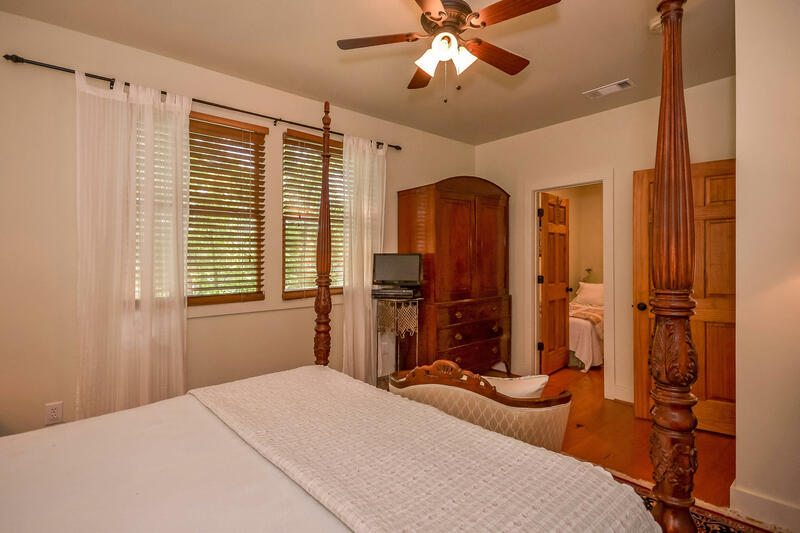 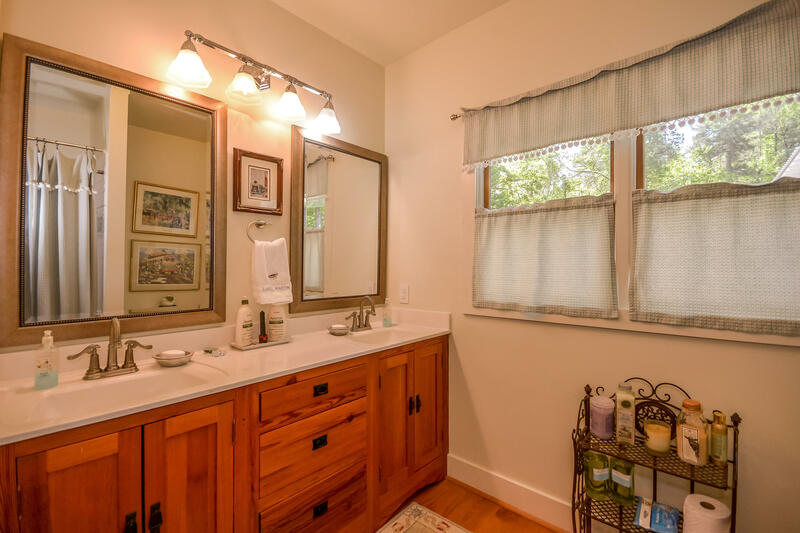 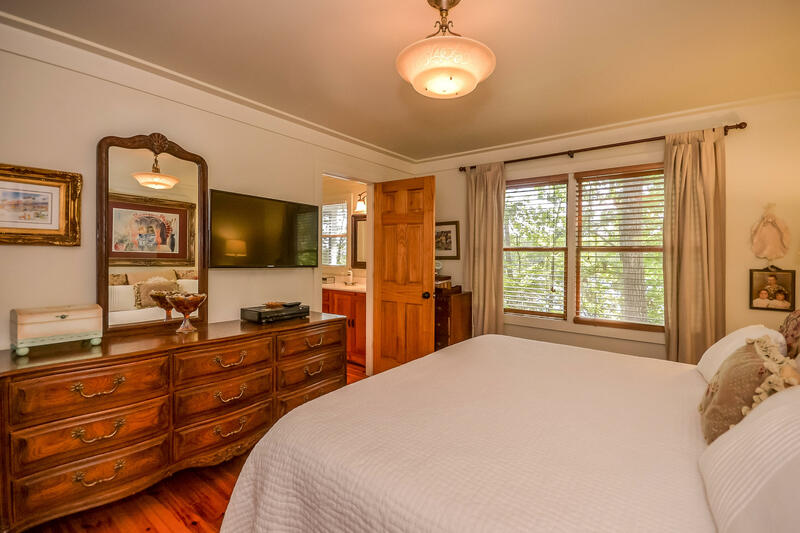 The main house boast 3 bedrooms and 2.5 baths and of course the master suite is on the main level. 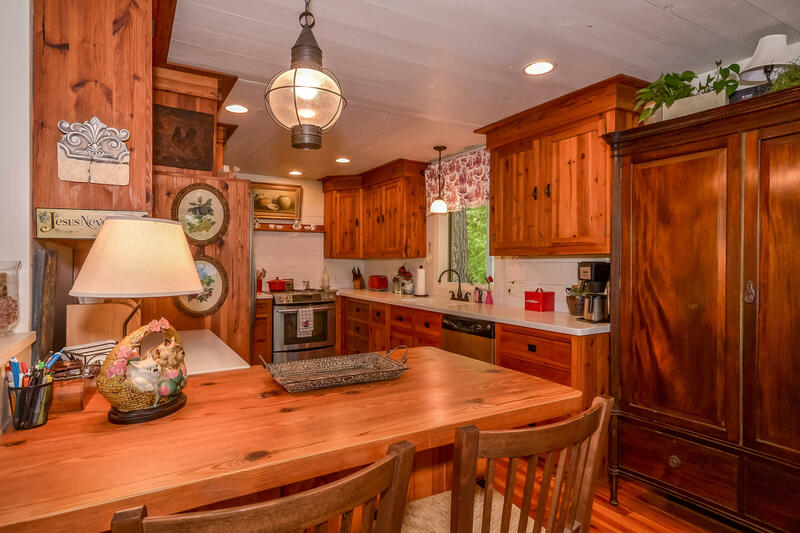 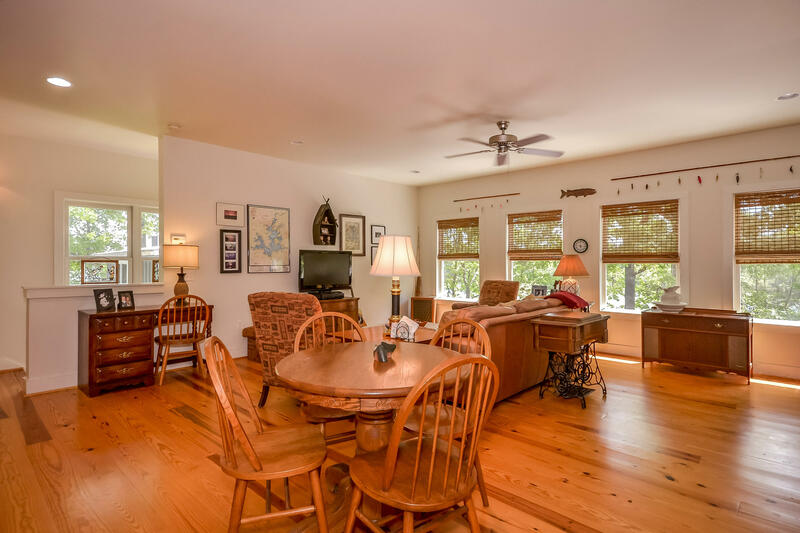 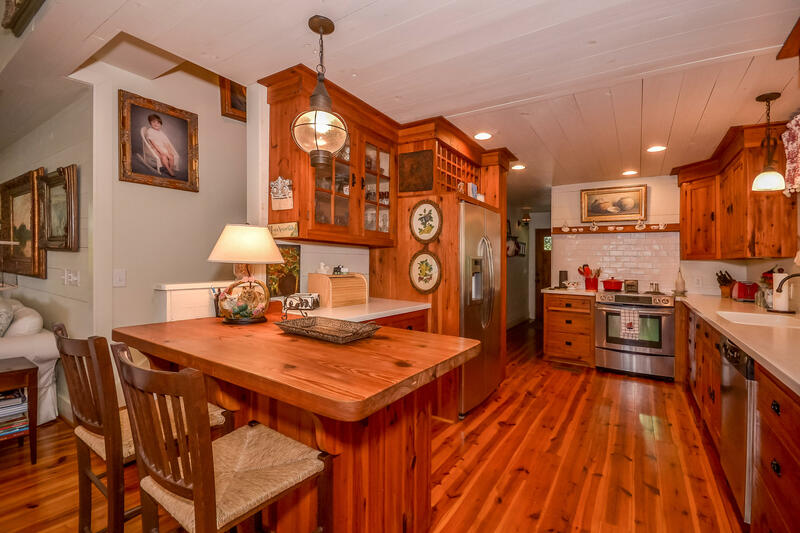 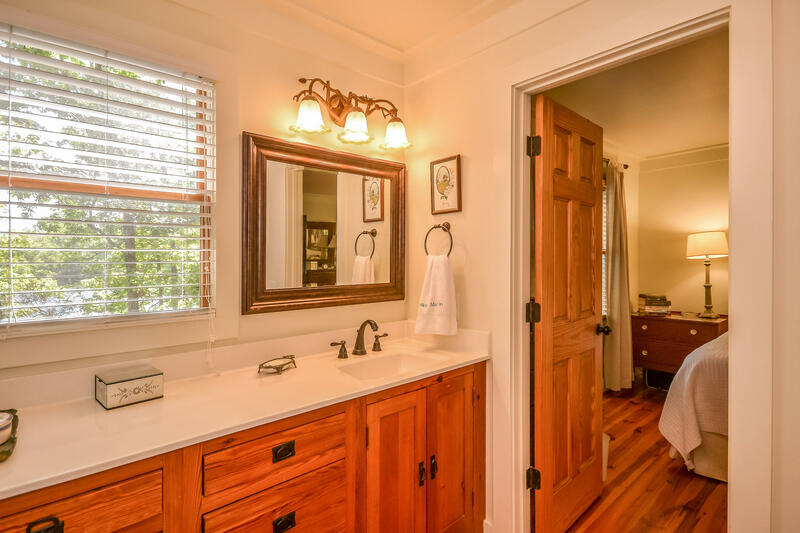 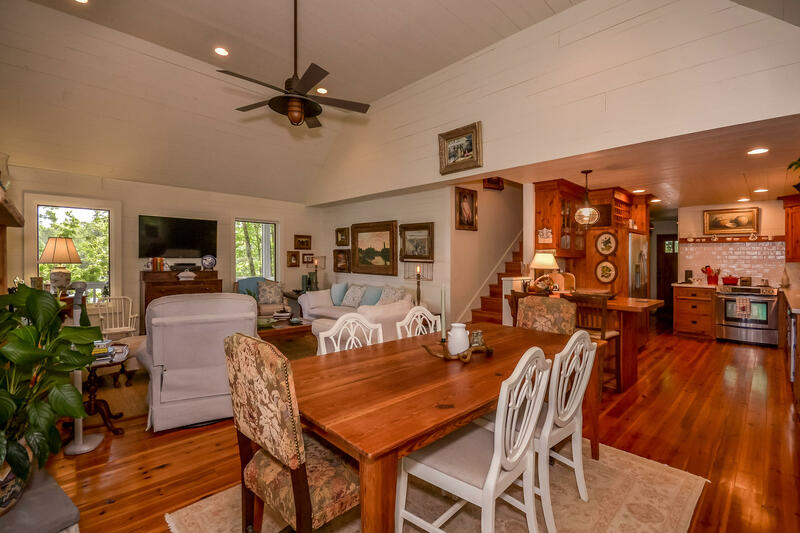 You are going to love the custom heart pine floors throughout. 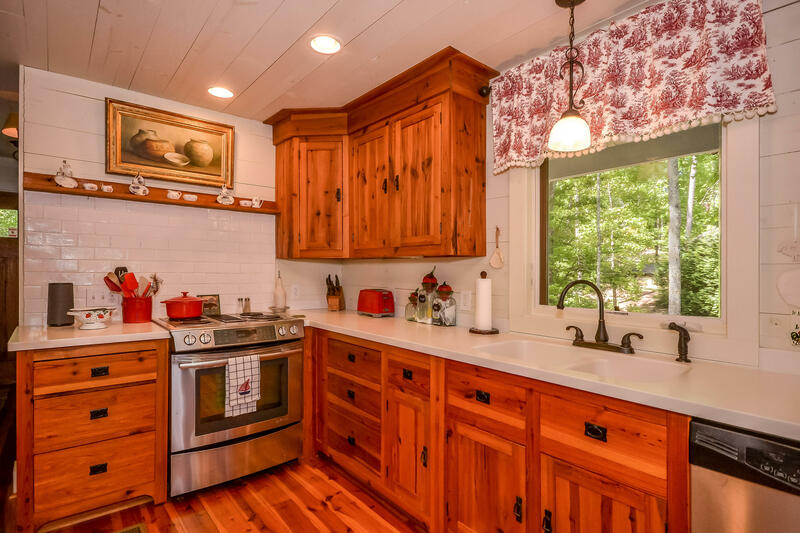 Kitchen features SS appliances, custom cabinets, butcher block breakfast bar, maintenance free corian counter tops, beautiful shiplap and open concept make it the perfect spot. 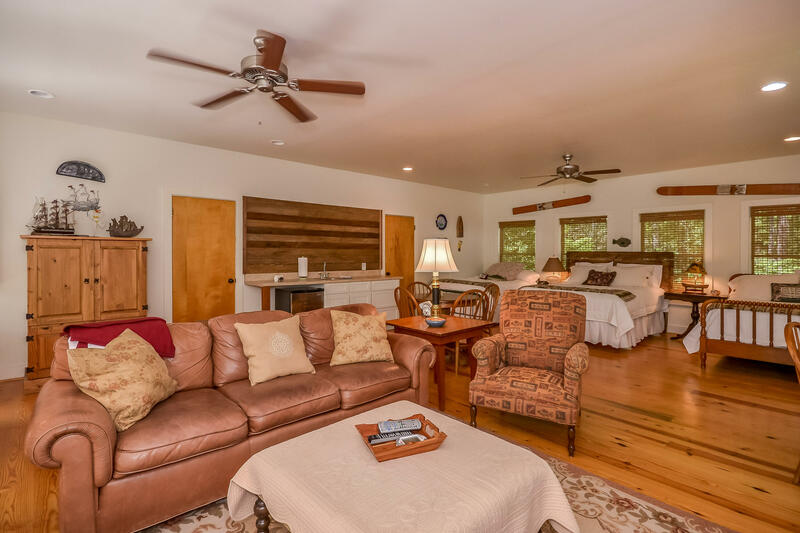 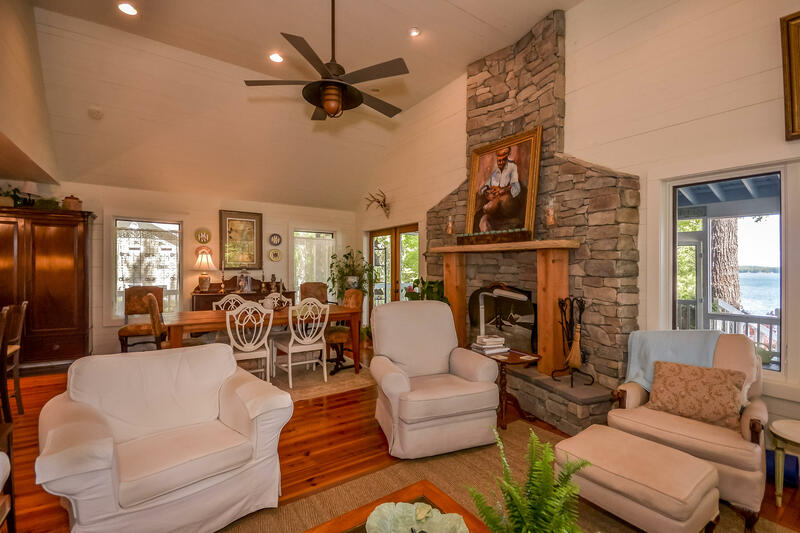 Family and friends will enjoy gathering around the cozy rock fireplace in the family room, while making memories at the lake. 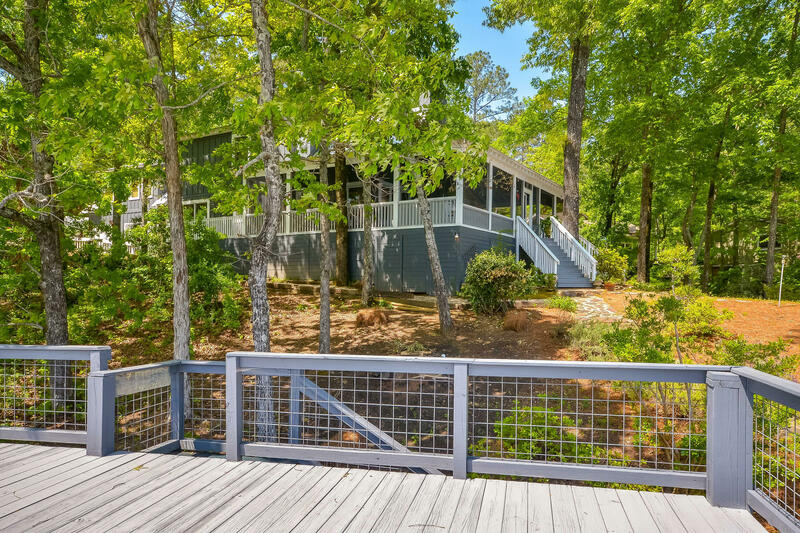 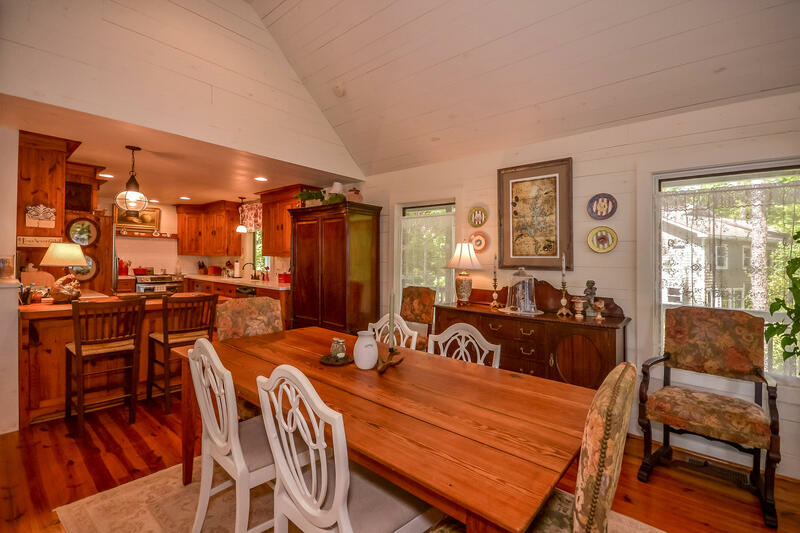 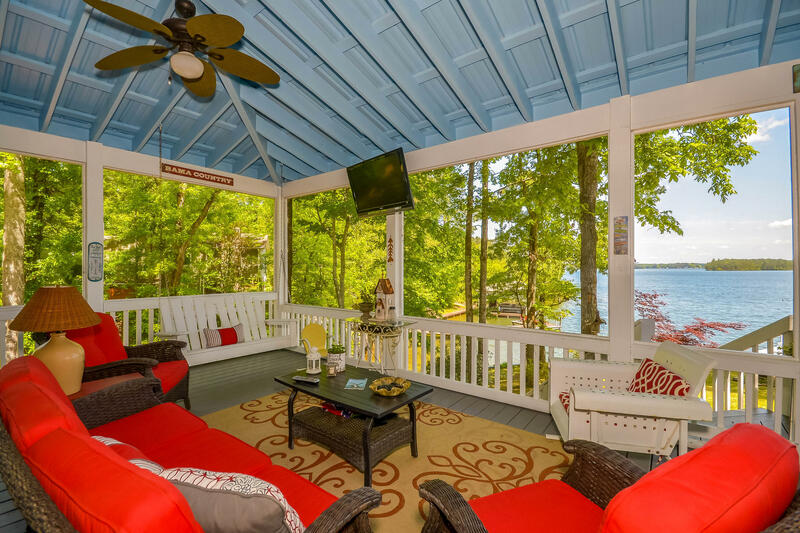 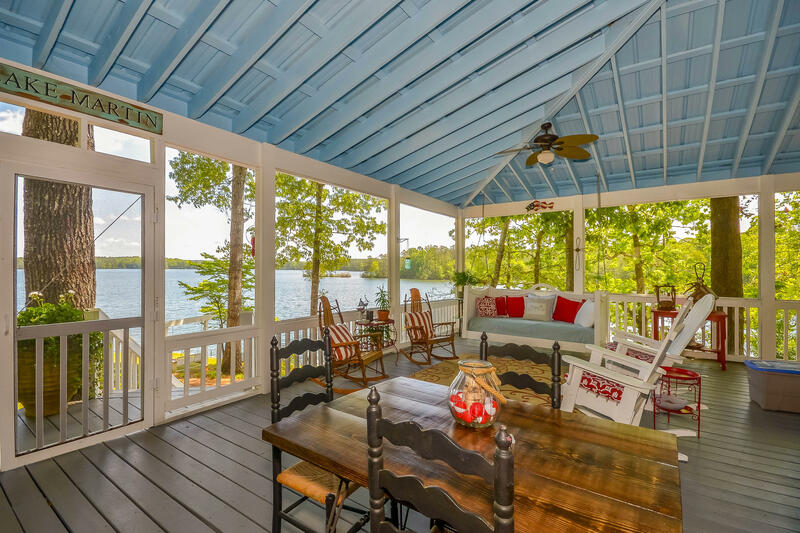 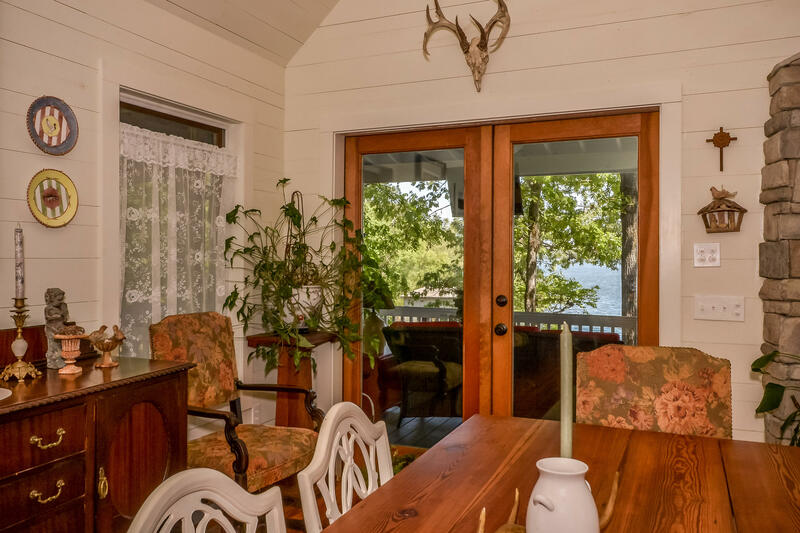 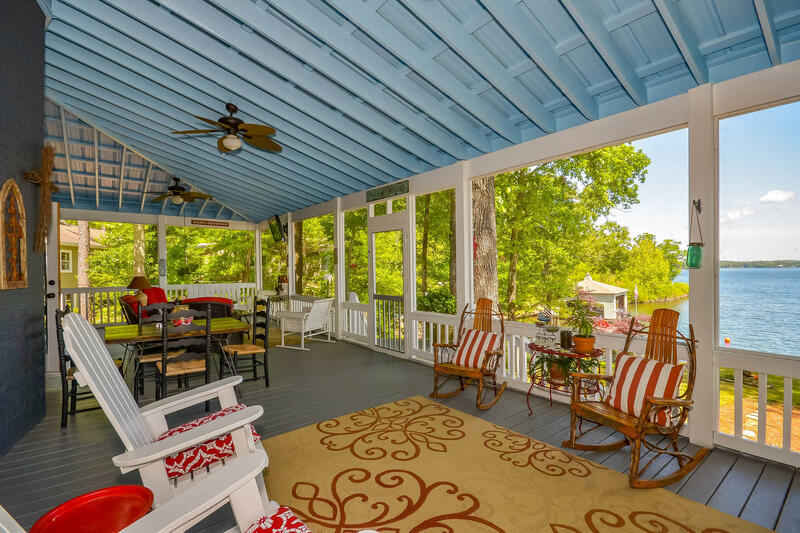 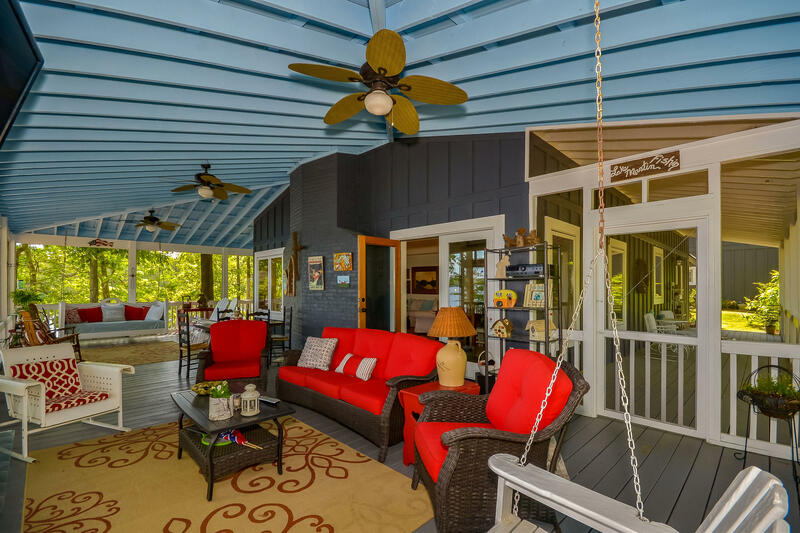 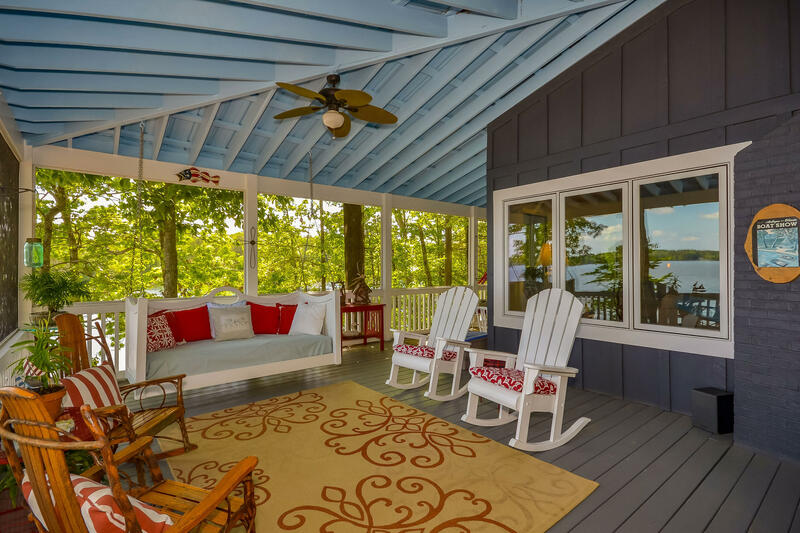 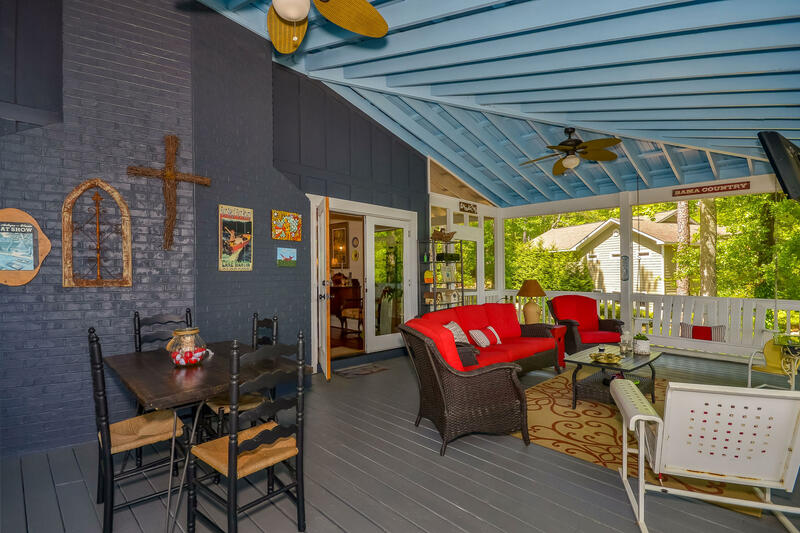 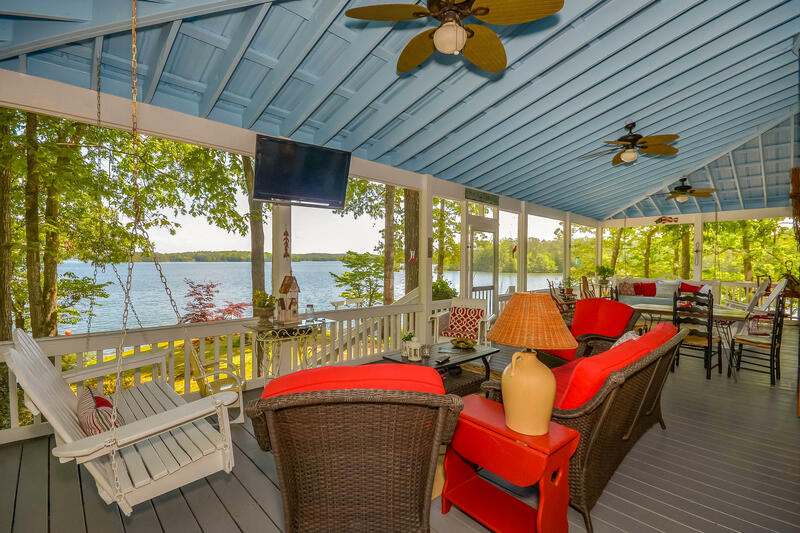 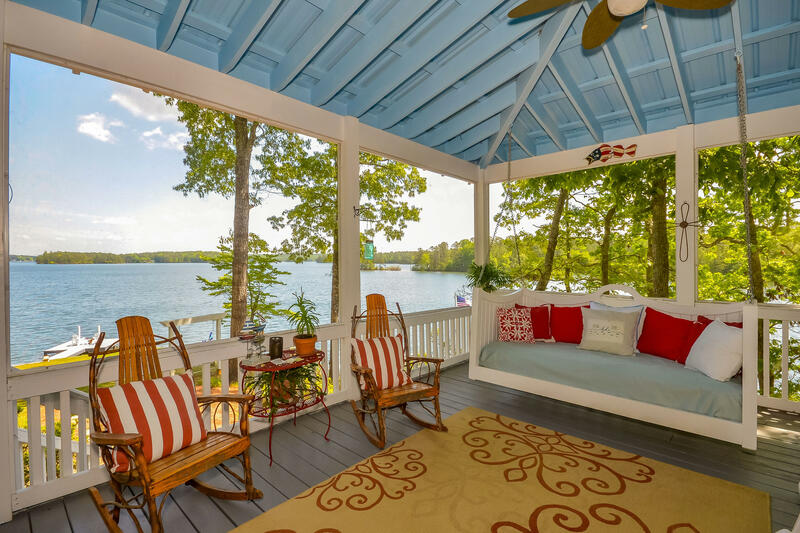 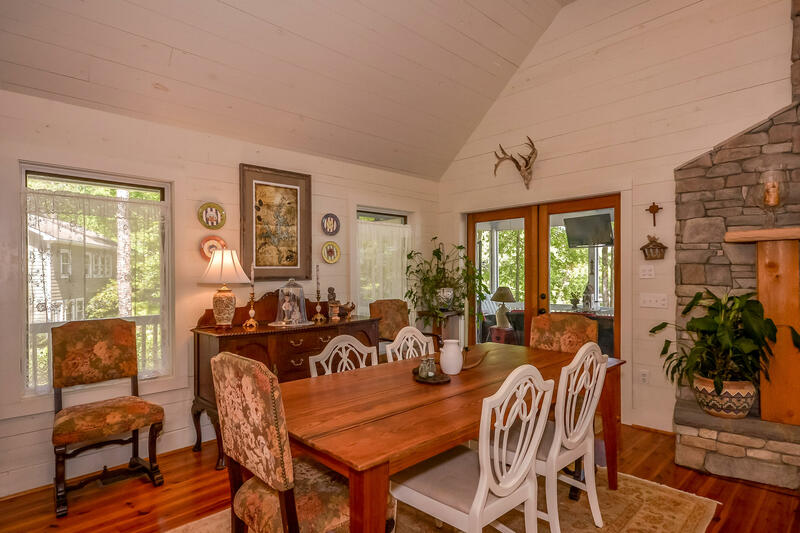 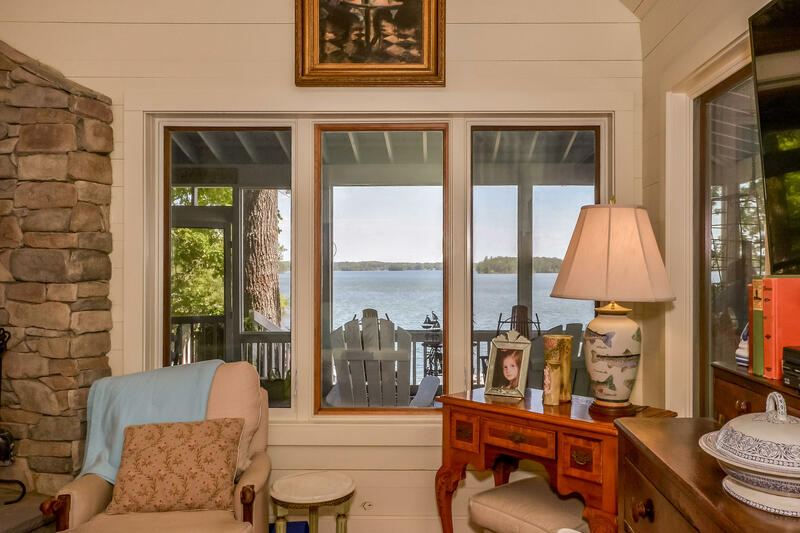 You also have about 1300 sq ft of covered and mostly screened porch overlooking the lake. 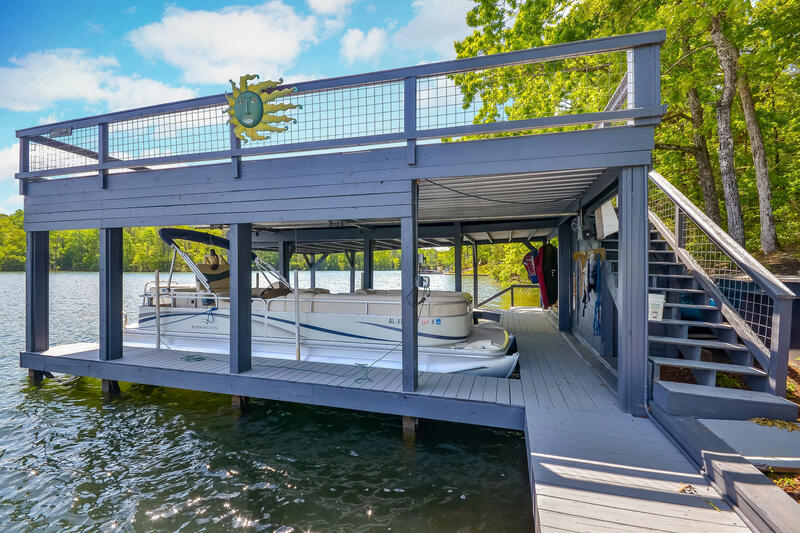 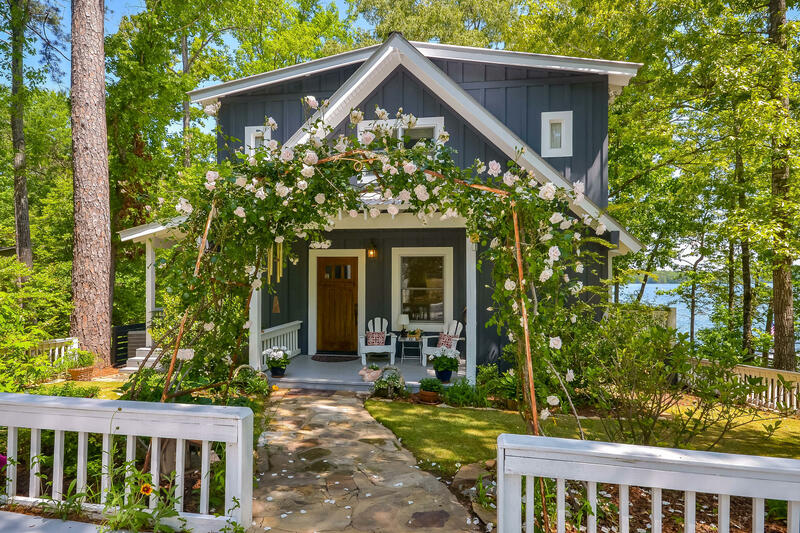 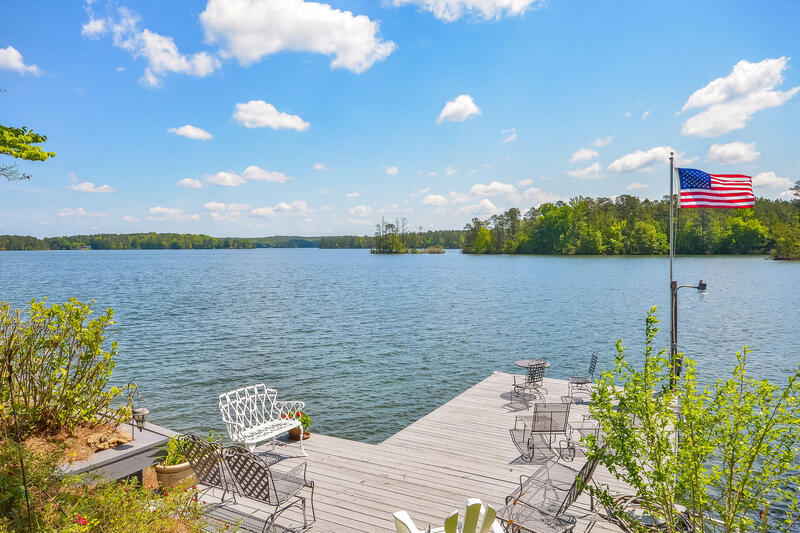 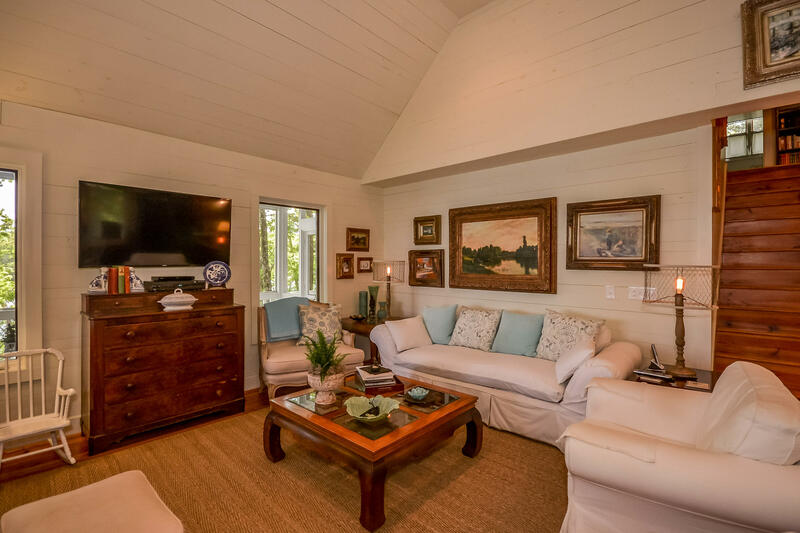 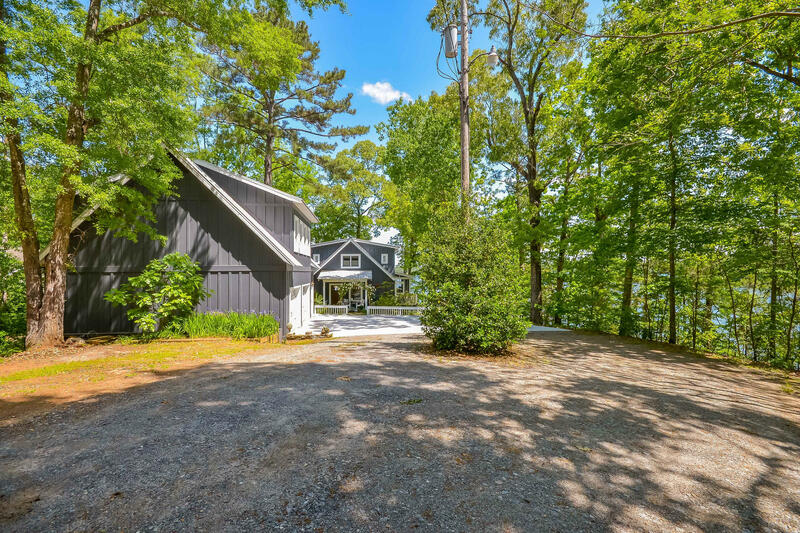 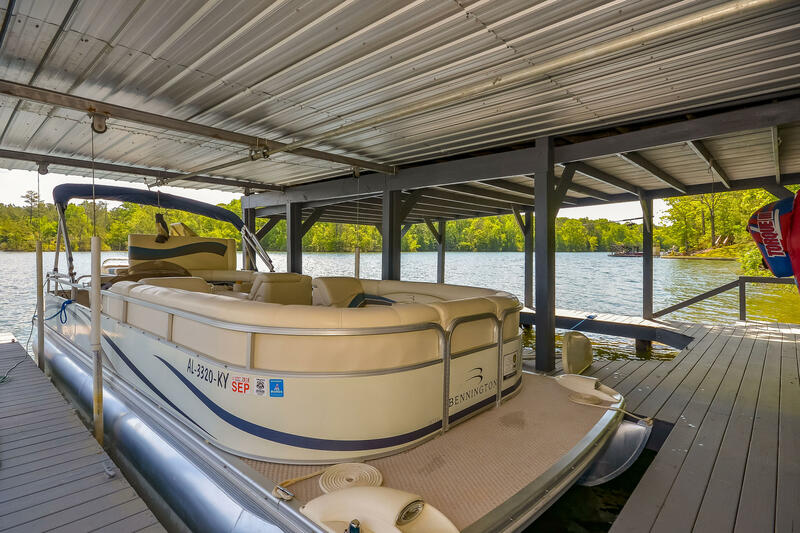 This unique property features a 2 slip boathouse with a boat lift, extra storage and a party deck above. 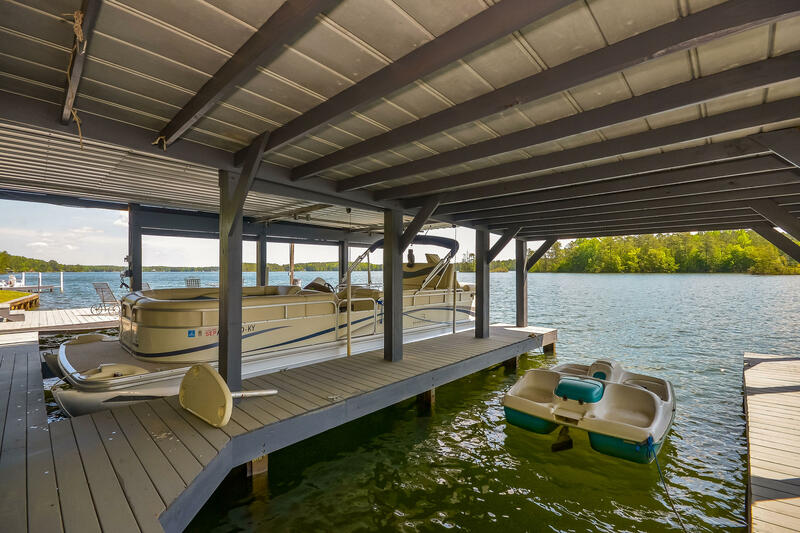 You have 2 additional piers. 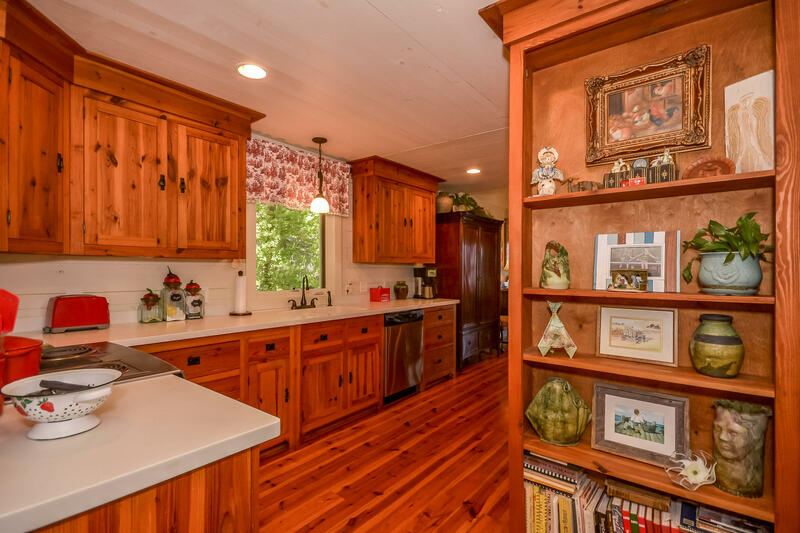 The 2 car garage has room for storage and a work station. 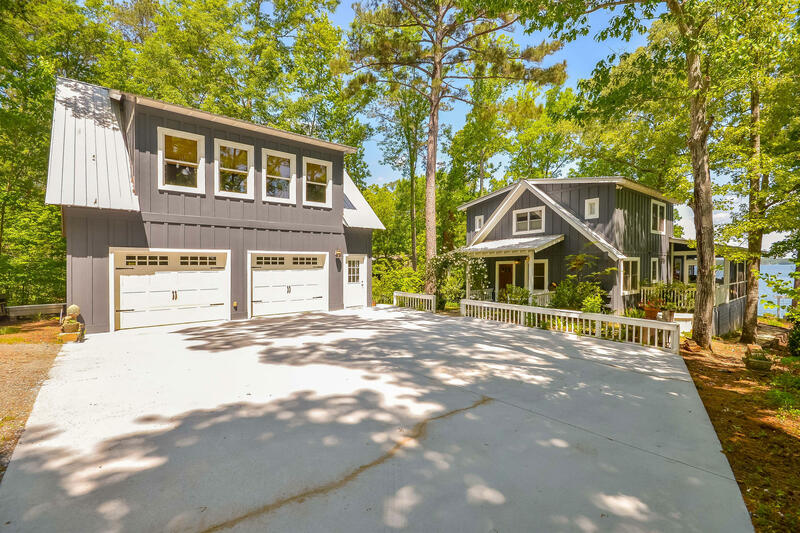 Carriage house above the garage is approx. 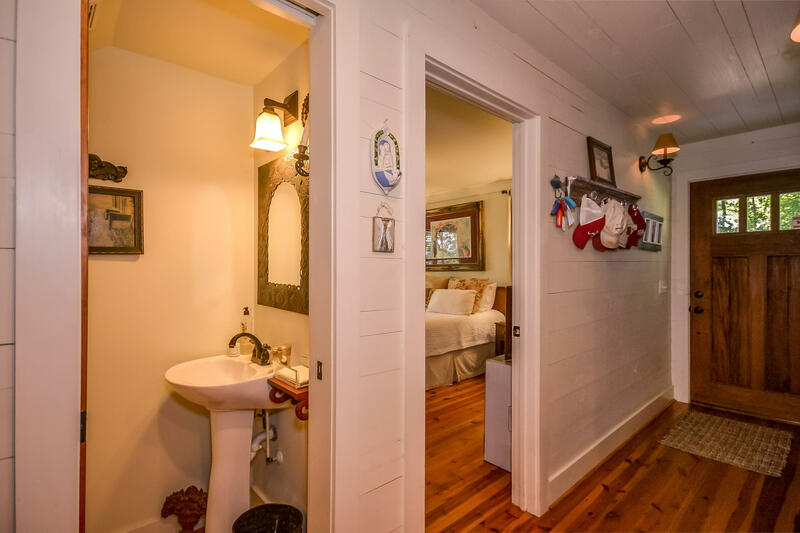 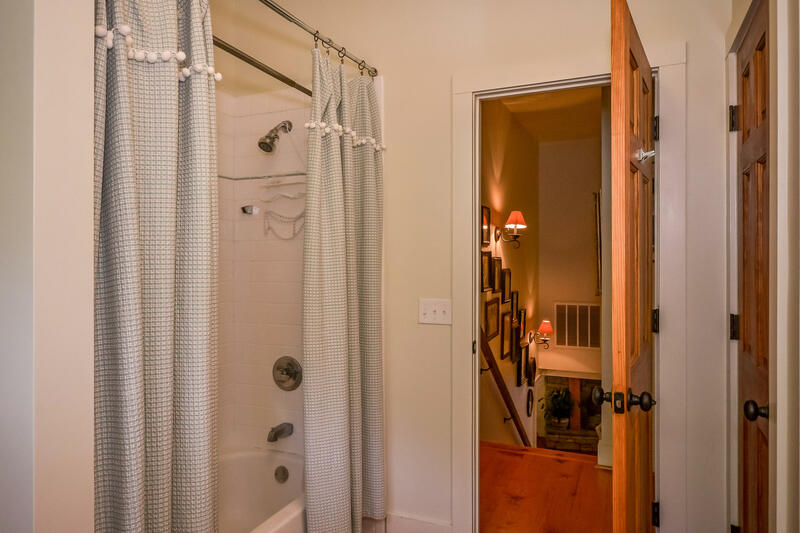 900 sq ft and boast its own full bath, sleeping area, living area and summer kitchen. 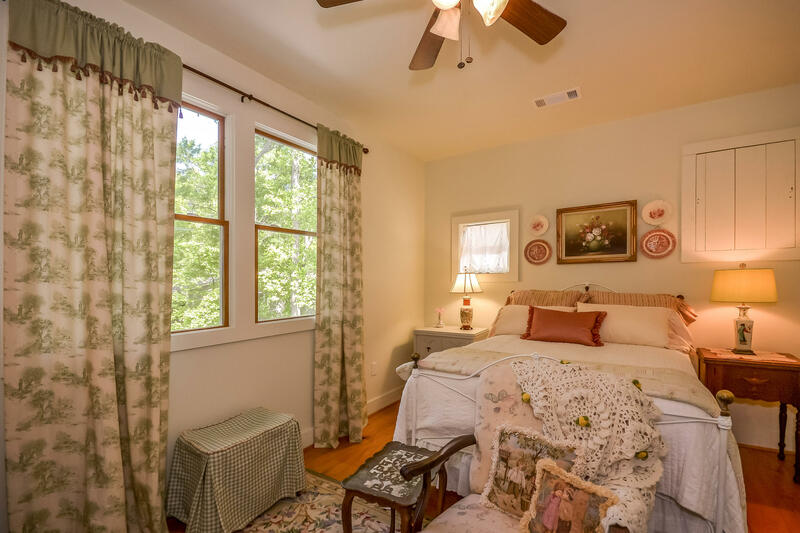 Its perfect for guest.